Glass specifications designed, supplied or installed to suit any application. 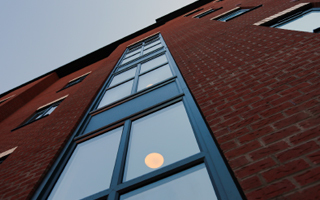 All window styles, colours and configurations for trade, commercial or domestic buildings. Secure and durable PVC-U doors for new-build or replacement projects. Composite door styles, colours and finishes to appeal to any taste. Connect outdoor and indoor living in style with PVC-U French or Sliding doors. Elegant, folding doors seamlessly connect outdoor and indoor spaces. 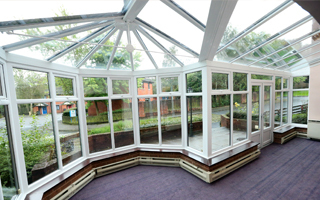 Conservatories designed, supplied or installed to add extra living space. 7 days a week, 24 hours a day emergency glazing service. Worsley Glass was established over 10 years ago, building an excellent reputation for providing high-quality PVC–U home improvement and glazing products. Over the last decade we’ve worked with councils, housing associations and schools as well as homeowners and building contractors to supply and install PVC-U windows doors and conservatories for any kind of project. 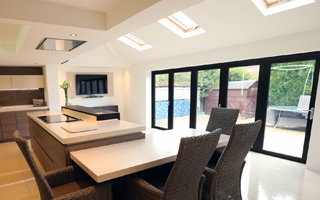 Designed to appeal to trade, homeowners and specifiers alike, our products are also easy and quick to install. With a complete range of hardware and security solutions for every application, we provide a complete package for you and your customer. Choose supply-only or use our design, supply and install service, and your double glazed units or frames can be ready in as little as 3 days. Toughened glass is accessible in as little as 24 hours. Our glaziers are highly-skilled and their professional and reliable approach ensures complete customer satisfaction every time. We work with a range of clients including domestic, commercial and trade, ensuring that no matter what your requirements we provide the highest levels of workmanship and customer service.